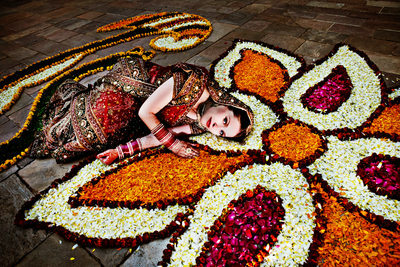 Andrena Photography has been photographing Indian weddings since 2004. In fact, a photo from my very first Indian wedding landed on the cover of Professional Photographer magazine, which was a huge honor and helped me gain a following within the Indian community. 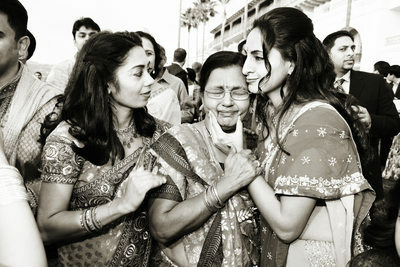 When I first started shooting Indian weddings, there were no U.S. blogs or publications dedicated to this community. 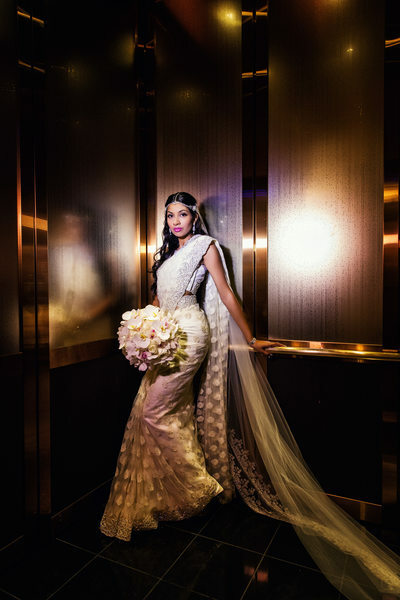 My blog thus quickly became very popular among marriage-aged girls in the Indian community who wanted to see what other girls were wearing and the types of décor they were doing at their weddings. 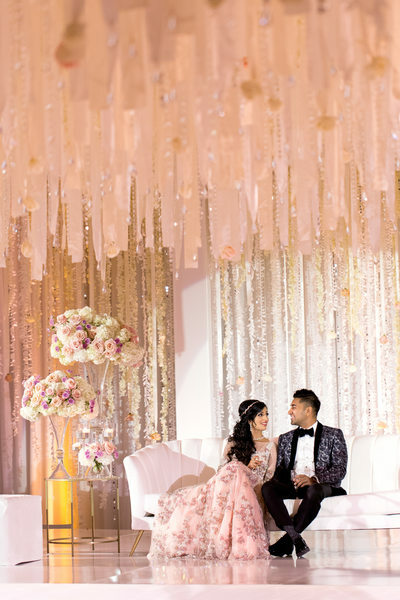 Since then, magazines and online sites such as South Asian Bride and blogs such as Maharani Weddings have become great resources for brides looking for inspiration for their weddings. 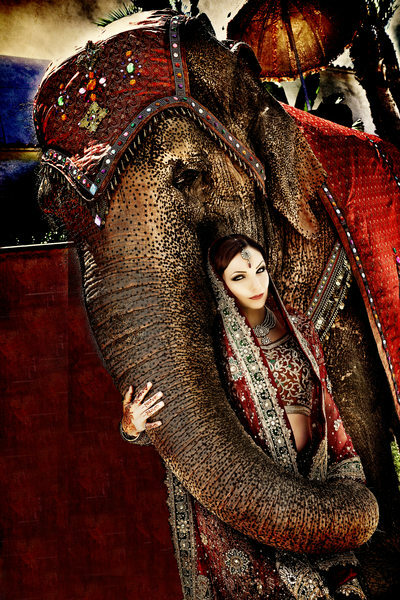 There is truly no such thing as a standard Indian wedding. With a population nearly four times that of the United States, India boasts an incredible range of religions, customs and communities. Thus, every Indian wedding reflects the origins of a couple’s respective parents as well as the traditions of their homeland. 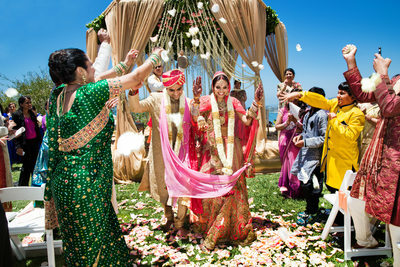 Most of my clients tell me that I know more about Indian weddings than they do, which I always find funny. But the reality is that I’ve shot hundreds of Indian weddings in the past 10 years, and the education I have gained from this experience is not something you can gain in a few months. 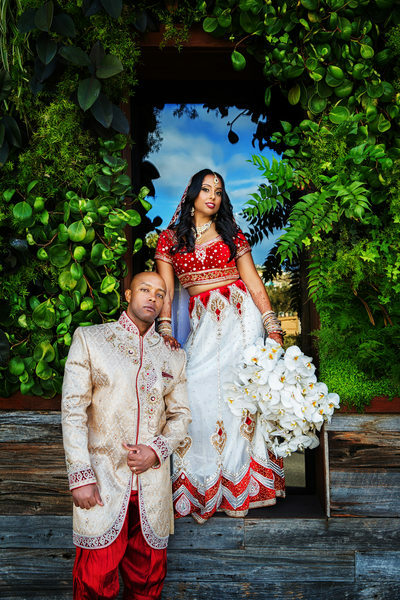 I have put together a wonderful set of FAQs and tips for those having an Indian wedding, and you can find this helpful information under Info & FAQs. 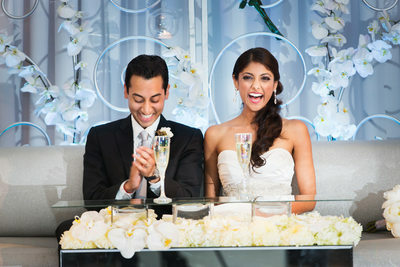 Some of the bigger venues that cater to the unique needs of Indian weddings include the Ritz-Carlton Laguna Niguel, the St. Regis in Monarch Beach, the Terranea Resort in Rancho Palos Verdes, the Laguna Cliffs Marriott, the Ritz-Carlton Marina del Rey, the Huntington Beach Hyatt and the Four Seasons Westlake Village. For weddings that don’t require a huge ballroom, there are a number of smaller venues that also allow outside catering. I have been honored to document virtually every kind of Indian wedding, from South Indian to Gujarati, from Sikh to Sindhi, from Punjabi Hindu to Bengali. 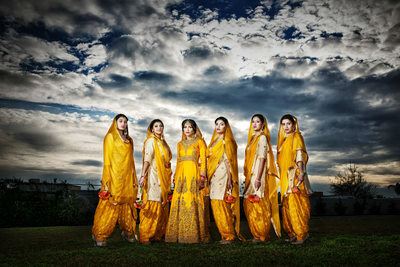 I have photographed Indian weddings ranging from 60 to 1,200 guests, ranging from one day up to six days in length. I have documented events including the Pithi, Puja, Grah Shanti, Mendhi or Mehendi, Raas Garba, Sangeet, Baraat and every kind of religious ceremony. I love the symbolism behind the Saptapadi, when a bride and groom take seven steps and recite their vows to one another. I also love the crowded joy of a Milni or Milne, which is when the bride’s family welcomes the groom’s family at the end of the Baraat. I adore the garland exchange that happens at the beginning of most Hindu celebrations. And I love the challenge of not turning my back on “The Book” in Sikh gurdwaras. 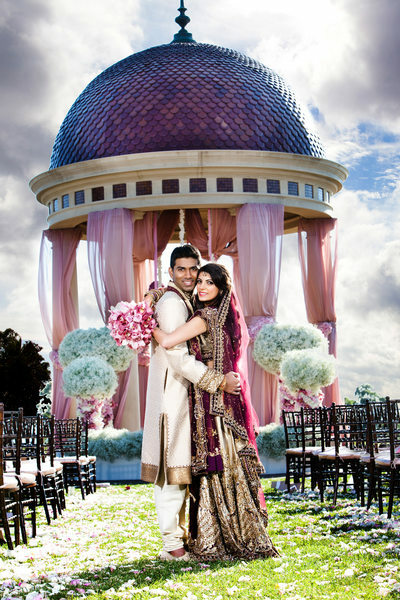 It has been an extreme pleasure learning about the wide variety of Indian rituals in South Asian wedding celebrations, and my reputation for outstanding coverage of these events is one reason Andrena Photography is considered one of the Top Indian Wedding Photographers in the world.